Aren’t you kids all looking for Pokemon? 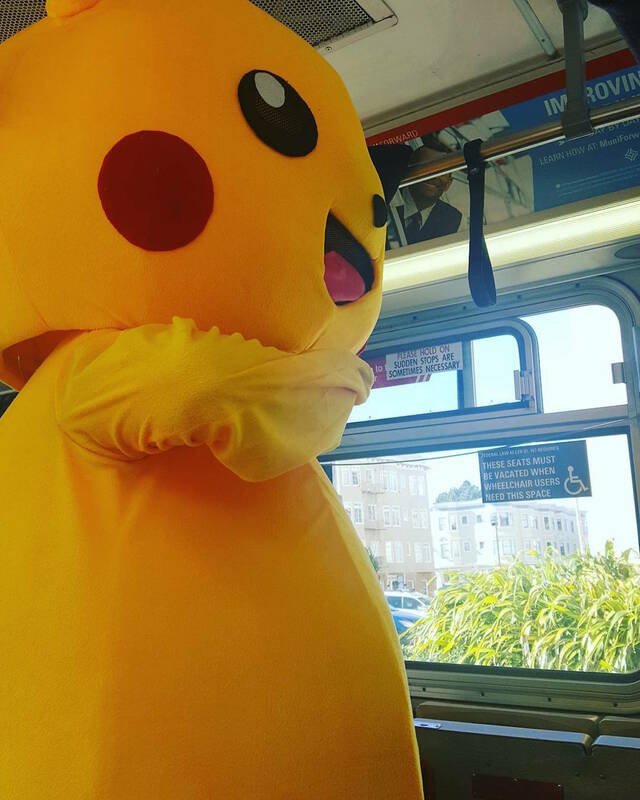 Cause @stephamiceli found him IRL on the 5-Fulton. Many a branded creature has taken Muni, including the Google Android, a Transformer, and all the folks with their workplace emblazoned on tees and backpacks. See something (awesome), say something (to us! 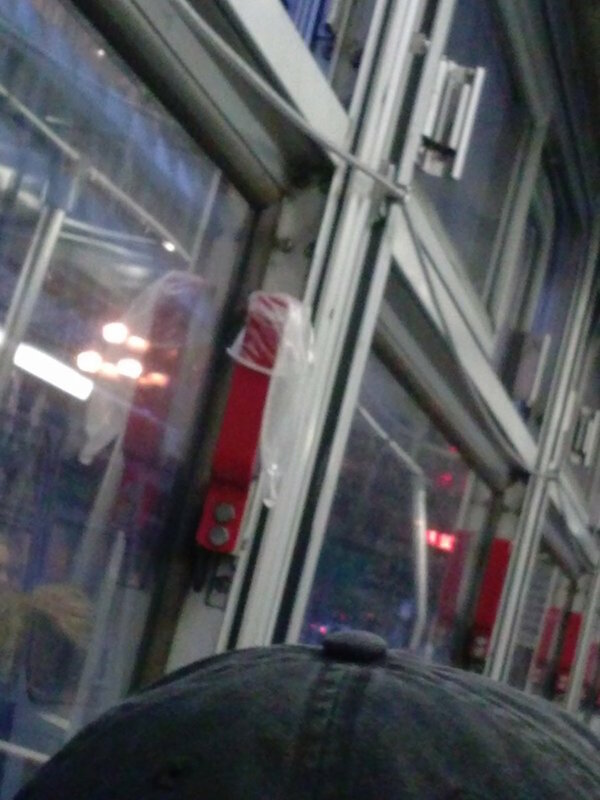 ): We’re @munidiaries on Twitter, Facebook or Insta. 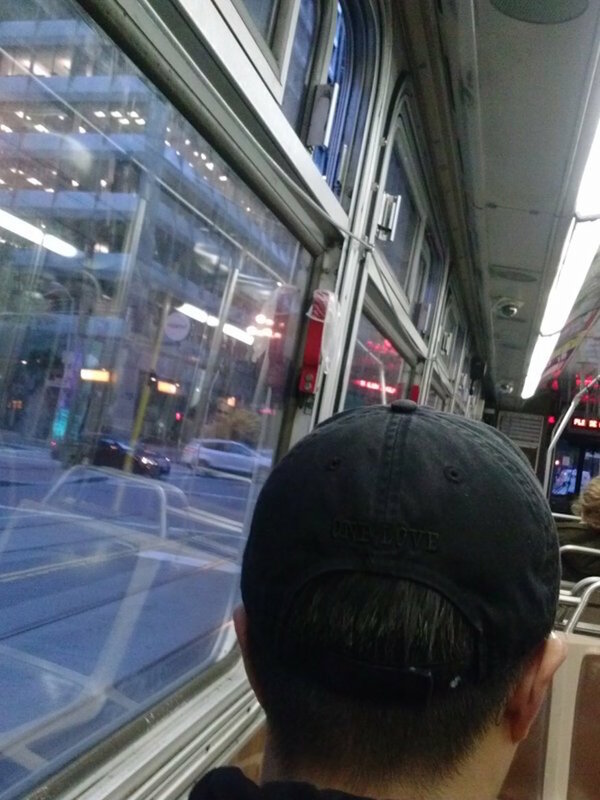 Every once in a while, the universe gives you something really awesome, like a pet goat riding Muni. Can you spot the goat? 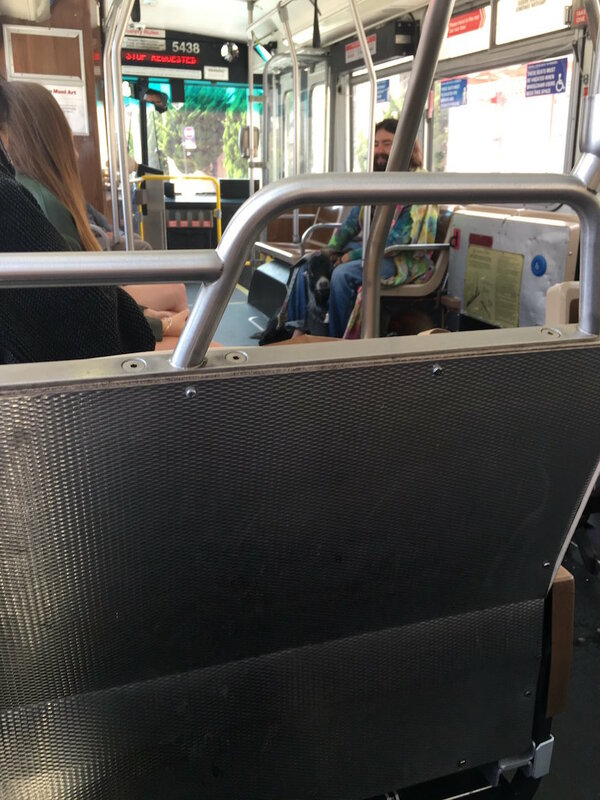 This Muni Diaries came from @jasonbraatz on Twitter, who says, “I’m on the 5-Fulton and there is seriously a goat on the bus.” Totally worth my $2.25 fare, don’t you think? More animal kingdom on Muni over this way, please. This bus don’t need no unwanted pregnancies or STDs. 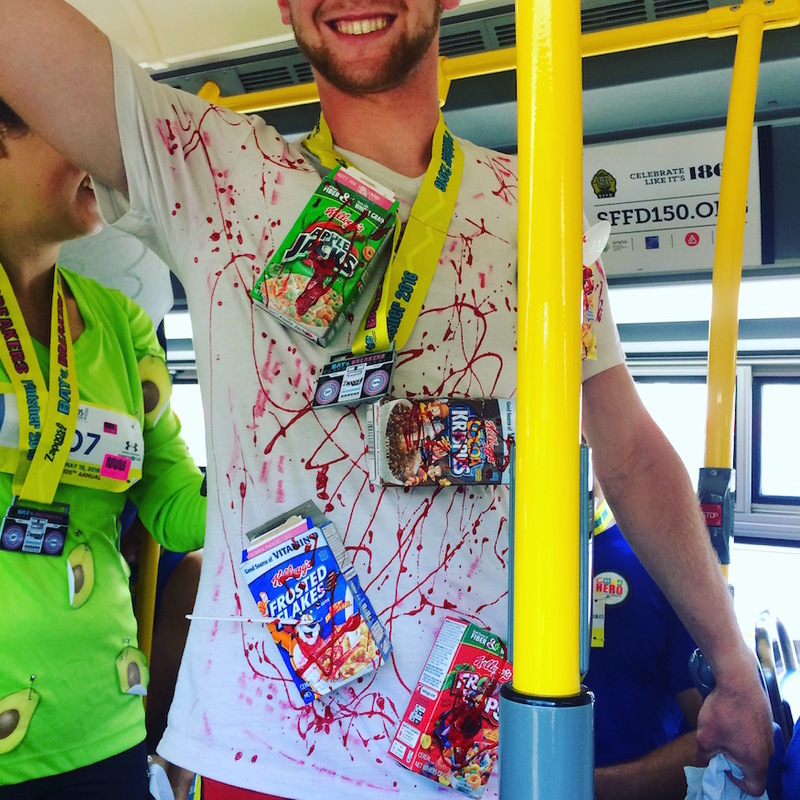 Is it just me or was Bay to Breakers this year actually a little less douchy and Muni was actually very helpful? At least in my personal experience, I waited about 30 seconds for the 5-Fulton and was sitting down comfortably on my ride back home. Miracles? 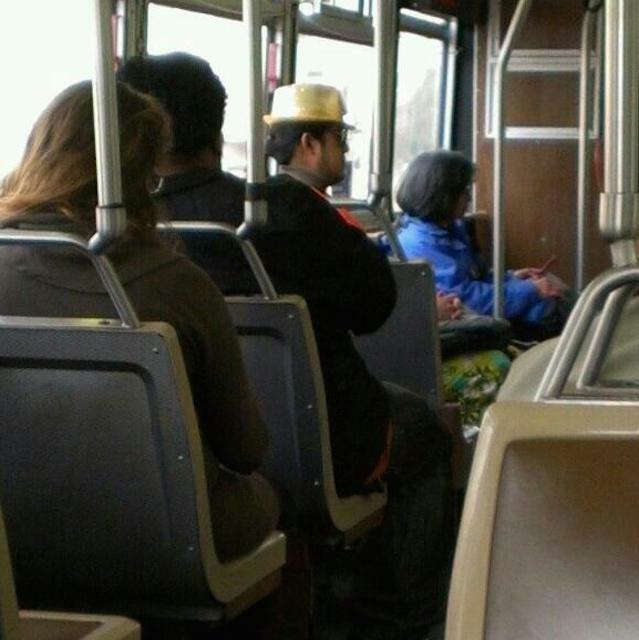 Where are you going, Mr. Gold Hat Man? And can you teach us all to be at least half as awesome as you are, dear sir? 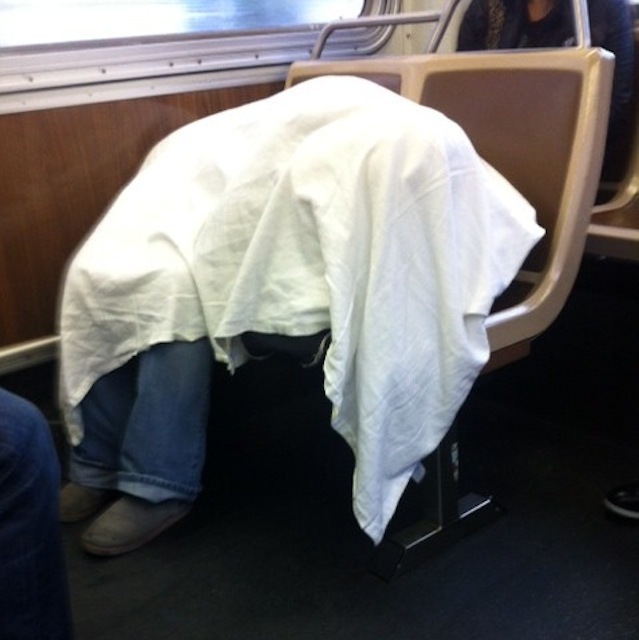 There was a ghost, in a white sheet and everything, on the 5-Fulton, you guys!